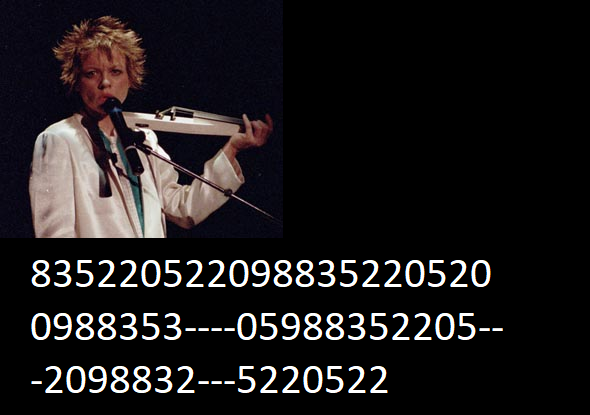 A video by US musician Laurie Anderson contains a spoken sequence of numbers. Can a reader make sense of it? At first sight, an encrypted postcard from 1909 looks like many others I have introduced on this blog. However, the encryption method used is unusual. An encrypted telegram from Italy is unsolved. Can a reader find the codebook that was used? 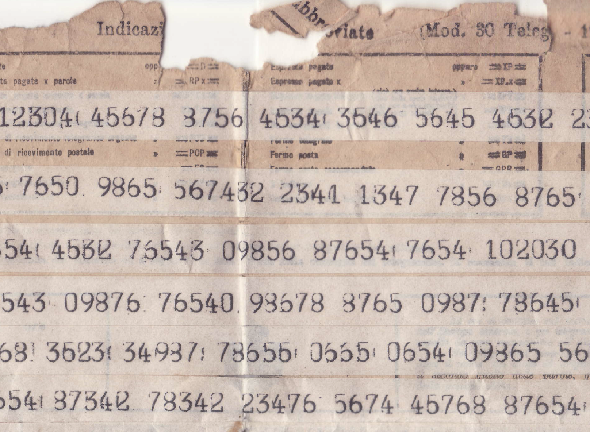 Without the codebook, deciphering the telegram is as good as impossible. 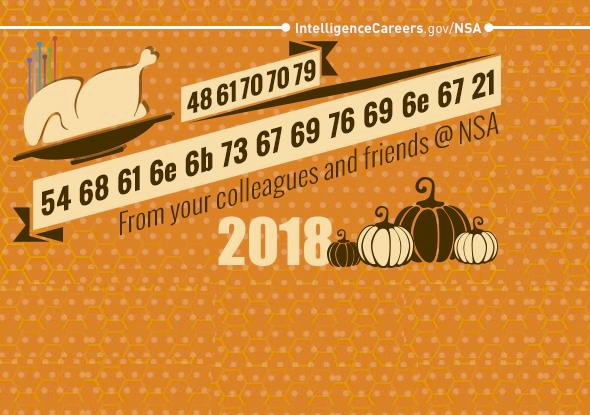 Two days ago, on Thanksgiving, the NSA sent encrypted greetings to “every NSA employee across the globe”. 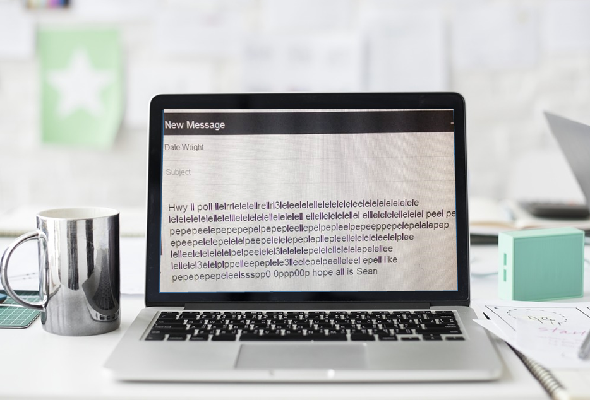 Can you break this encryption? Can you solve this strange cryptogram? 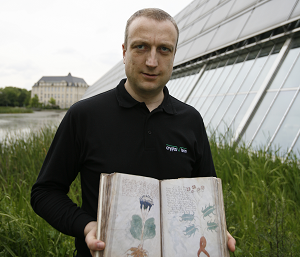 Once again, an unsolved cryptogram has been published on Reddit. No details are provided. It is not even clear what is above and what below. 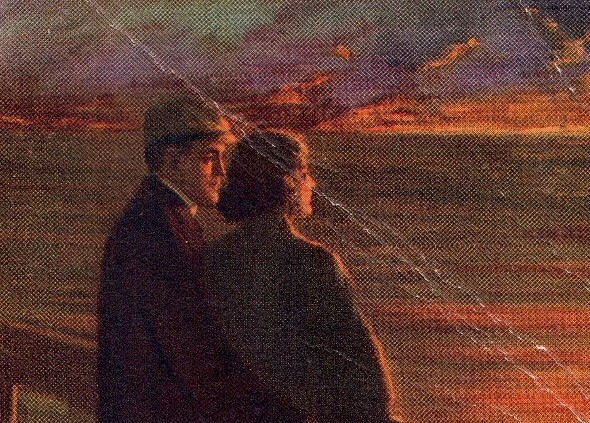 Can a reader solve this mystery? Three years ago, US codebreaker Gary Klivans provided me a screenshot that shows a seemingly random sequence of letters created by a criminal. So far, nobody has been able to make sense of this cryptogram. 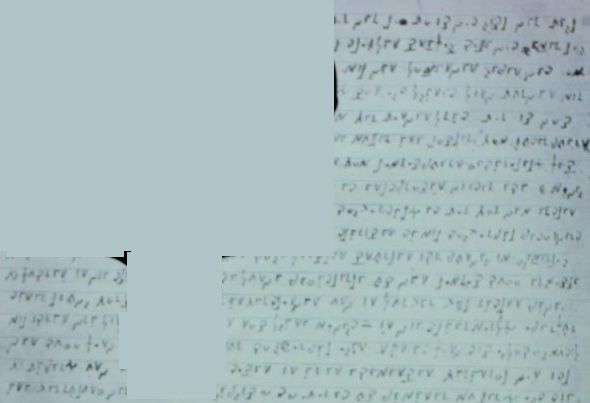 Siegfried Schwabl (born 1917) from the Salzburg area, Austria, wrote an encrypted diary. The solution is known, but has not been published. Can a reader decipher the diary excerpt that is available online? 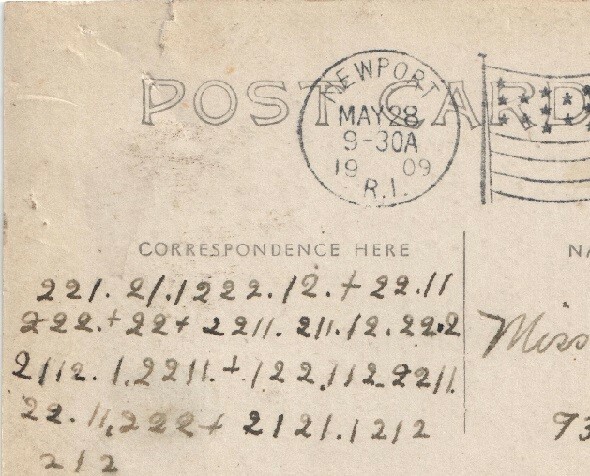 Who can decipher this postcard from 1909? 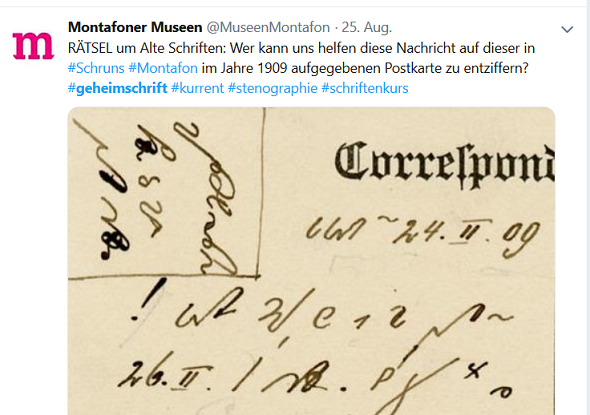 An Austrian museum association has asked its Twitter followers to help deciphering an old postcard. So far, no solution has been tweeted. Can a reader of this blog solve this mystery? 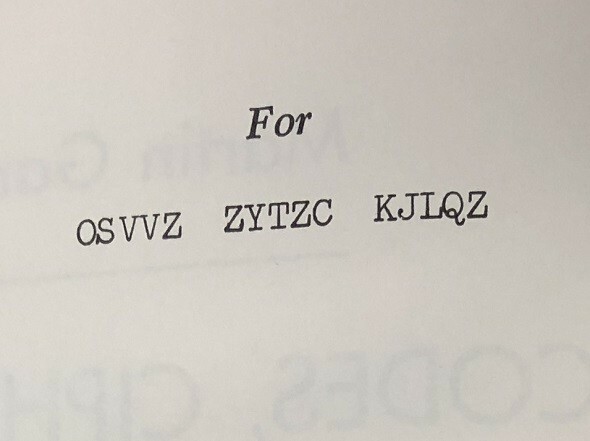 To whom did Martin Gardner dedicate his crypto book? Martin Gardner, one of the world’s most renowned science journalists, dedicated one of his books to a certain OSVVZ ZYTZC KJLQZ. 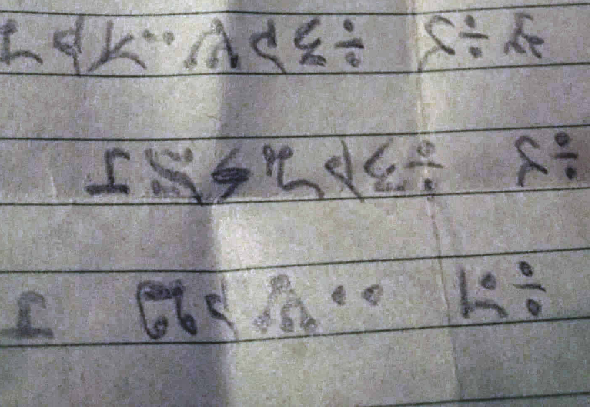 Can a reader decipher this encrypted name?